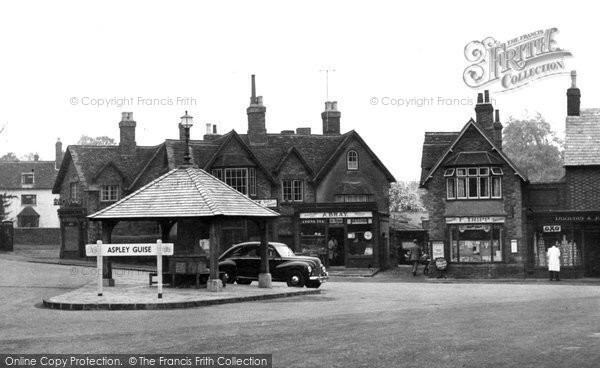 The Square At Christmas - a Memory of Aspley Guise. The Square was lit up throughout Chrismas 2006. A Christmas Tree was installed in the centre and the surrounding buildings were adorned with gentle Chritmas lights. The day of 'lighting up' was attended by a large part of the community from the youngest to the most senior, and it was two of the latter who performed the grand switch on. A memory shared by Chris Gater on Oct 28th, 2007. Send Chris Gater a message. Add a memory of Aspley Guise.